location on the museum campus. around the lake to the drop-off. faces an historic crop rotation field. drop-off to the building entrance. reflects its elegant form in the water. 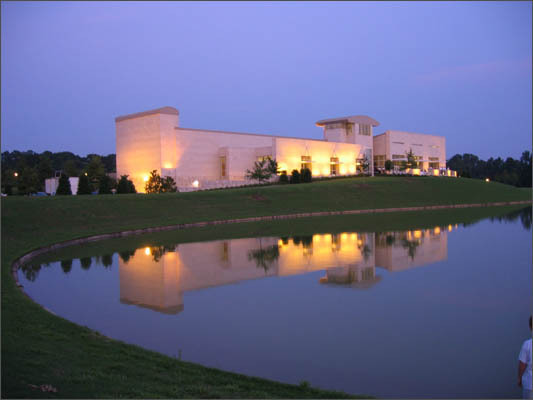 NLA won a 2008 ASLA (American Society of Landscape Architects) Alabama Honor Award in recognition of Outstanding Professional Achievement for their Landscape Design services for the Jule Collins Smith Museum of Art.